We are in the long-term process of training community paralegals from across the country to be dedicated radio journalists. 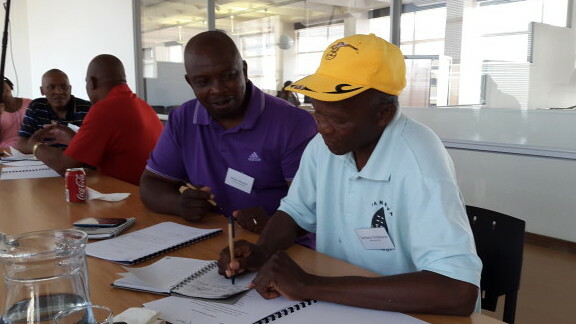 We hold workshops in Johannesburg and provide on-site training in rural areas. We also provide training to the teams of community radio stations. 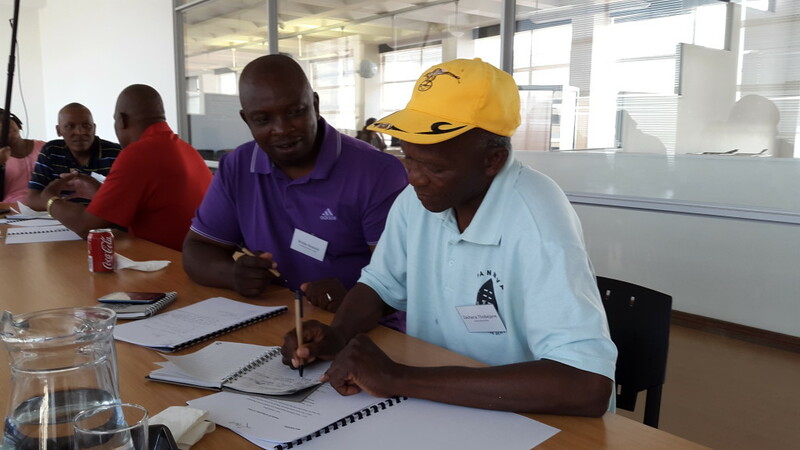 We have developed workshops around communicating the constitution on radio for The Foundation Of Human Rights. All our training materials are free to use. All we ask is you notify us and credit us appropriately. We train paralegals to be radio journalists. We provide them with tablets and microphones and teach them the importance of story, interviewing, journalism ethics and how to edit for radio. The training is designed to allow community paralegals to realize that a great deal of the reporting work for a powerful story is already being done through their efforts as a paralegal. We interrogate and listen to every piece of content that goes out on our stations to make sure it is free of bias. In addition we empower community radio stations to engage with the legal issues in their communities (through training workshops). This is a valuable cross-pollination of knowledge of the advice offices and the radio stations that strengthens access to justice throughout the community. These training workshops are incredibly powerful forums for knowledge sharing.